If there was one interview that I would have to say was my favorite from the #AntManEvent if would have to be the Antourage Interview. 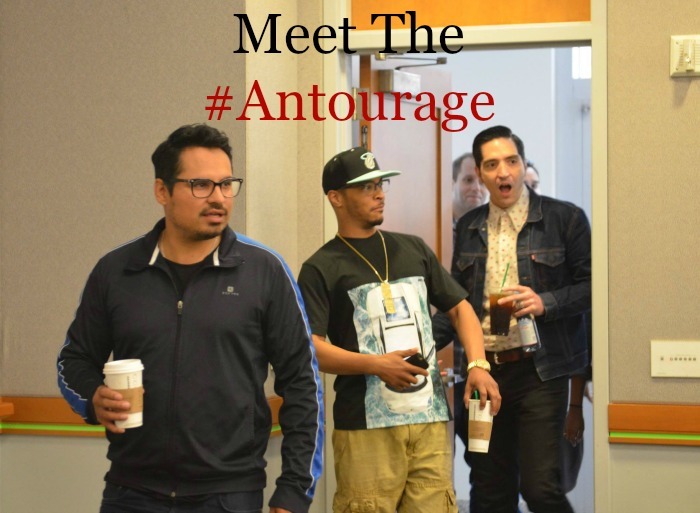 The Antourage is the name that the hilarious trio, Michael Pena, T.I and David Dastmalchian gave themselves. After you see Ant-Man you will realize how much this name fits these three talented guys. 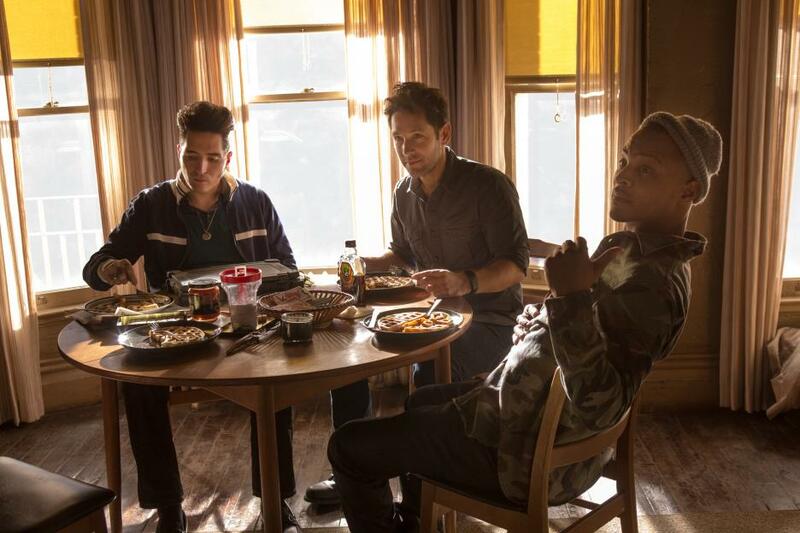 We had a chance to sit down and chat with these fellows about the roles in the new Marvel Ant-Man movie. David, I’d love to know how long did it take to do the hair? Yvette Stone, she actually did the hair every day. She helped create that look for Kurt. And you were sitting in the chair for half an hour, 45. We got it down. It starts taking a long time, but by the end of the movie like man we nailed it, and the tattoos and everything. It was amazing. Make-Up Artist Greg Funk did the tattoos, but it’s a cool thing when you’re an Actor and you get the physical world that’s created for you. So like the wardrobe nailed exactly what I thought about Kurt, the hair. And I would you know come out of hair and make-up and put on my wardrobe and walk out of my trailer and look in the mirror and I’d be like this is good. Michael your story telling is hilarious are you like that in real life? No. I was always like a quiet kid you know what I mean to be honest. Yeah. I remember, I got messages on Facebook and I’m like out of all people to be an Actor you’re the guy? Yeah I’m like hey my best friend’s here from Chicago and he was like, You know he was the quiet kid. I was Captain of the Wrestling team and Track Team and you know I loved sports and stuff. So that’s the only way that I really made friends, but I was like kind of a nerd to be honest. It’s hard to believe what I’m like. T.I. You know man me too. MICHAEL : Were you really? MICHAEL: You know what, but he’s (T.I.) a smart dude though. So I’m like you never know you know what I mean? How did all of you guys get all of this project? DAVID: I auditioned in January of 2014 for Sarah Finn, the Cast Director for this film and I auditioned for it and I got the sides and the role description and it’s so different than anything I’ve gotten to do before. And my immediate goal was like hey I’m a huge comic geek. I’ve loved comics my whole life. And I want something that my mom can go to the cinema and watch and not be terrified ‘cause I tend to play some goofy guys. So I went after it and I created a voice and the character and then she liked it so for the Director at that time and I got to read for him, and he liked it. And then I got to go test. So it was a very long process for me. Two auditions and then a test and then I got the part and then everything started to change. I was like, “Oh my gosh am I still gonna’ get to do a part in the film?” And then my Manager called me like 2 months after we were starting and goes, “Great news. You’re going to Atlanta to do tests. And I didn’t understand what that meant and I had a newborn at home, and I was very frazzled, and I was very nervous. And I thought okay like I’m gonna’ go and do another audition. So I went to Atlanta and Michael was there and everybody else. And I’m meeting everybody and I’m so nervous. And I realize what they meant by that kind of test. Like hair and make-up test. It’s like I had the part. I was in. I go and read and they you give me a bunch of anonymous scenes to read and they called me back. And so then I have to find a way to re-arrange the rest of my schedule to actually take advantage of this great opportunity to do this film. Watching the movie with everybody the other night you guys stuck out as a highlight of it. And the fans are gonna want to see more of it. T.I. Even cooler though is, is they should give us a comic book. DAVID: Oh see, you put that out there. T.I. : A comic book for us. It wouldn’t be right to continue on in the film without, you know. MICHAEL: The comic’s so great and fun for people ‘cause not everybody has superpowers right? But these guys, we’re good at something. MICHAEL : What do you do with the thing that you’re good at? Are you gonna’ do something good in your life or are you gonna’ do you know what our past is or our characters? And I love that. I think that’s what makes these films great for audiences too and families. MICHAEL: And it’s funny too because we’re with Paul who’s one of the funny guys on the planet. T.I. : Was it written to be like comedic? It didn’t read as funny. MICHAEL: Slightly, slightly, slightly. ‘Cause Stan Lee in the comics how he’s had comedy in them. You know they have humor. I think more humor than, than comedy in this movie. T.I. : It seemed like you know when we just all saw that we were around a group of goofballs. Like, “Oh okay we’re gonna’ goof off a little bit.” It just happened to work. For T.I., your character’s so funny. Can you tell us about the conversation when you told them (your kids) you were gonna’ do Ant Man. (KIDS) “Well I don’t know Ant Man. 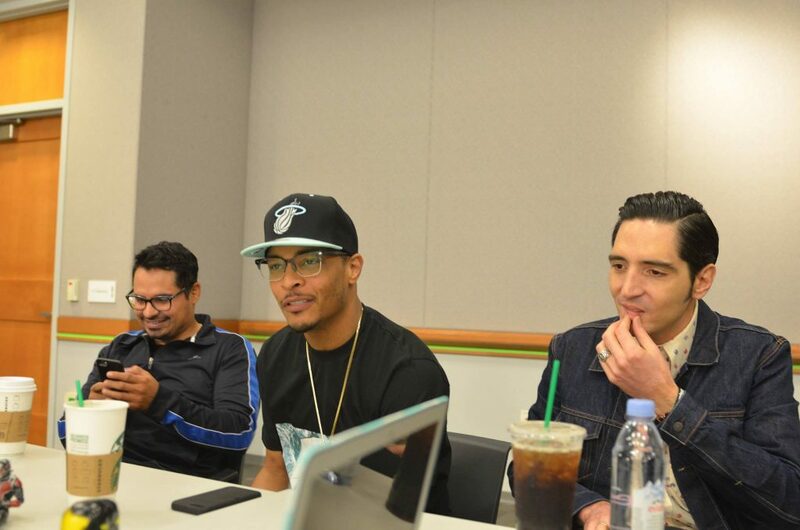 Is Ant Man in the Avengers?” Well technically in the comic not the movie, we’ll see it in the movie.” (KIDS) “Okay well you gonna’ wear a costume?” (T.I) No, not I’m not wearing a costume. You know just forget about it. 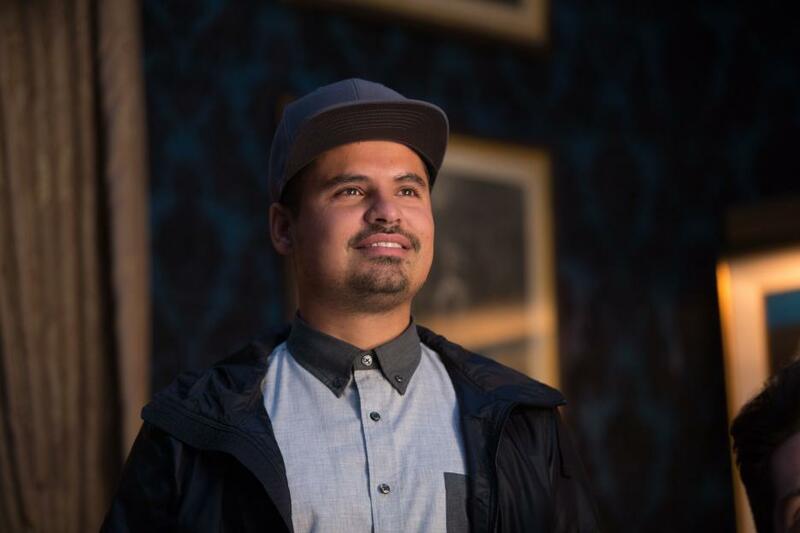 You definitely do not want to miss the Antourage in Ant-Man! The movie is fantastic by itself but these guys take it to a whole new level. I seriously can’t wait for you to see them. Ant-Man opens in theaters July 17th! (Just a few more days) Until then be sure to get more Ant-Man by following on social media below.